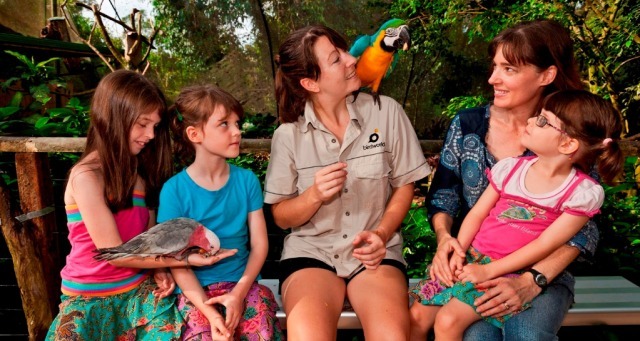 Cairns Tours are a family operated business based in Cairns. 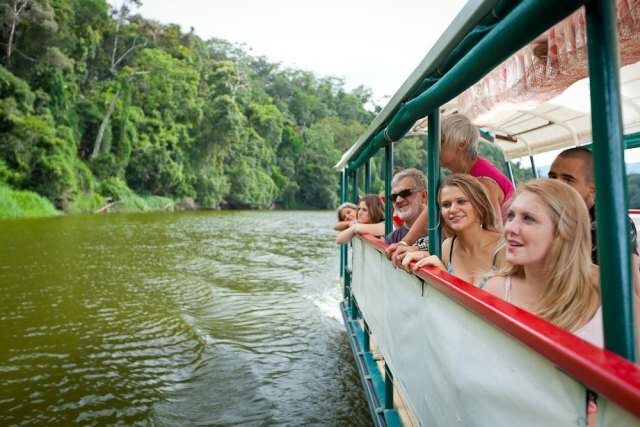 Cairns Tours features the Kuranda boarding pass and combines the famous Kuranda Scenic Rail and Skyrail Rainforest Cableway into a relaxing scenic day trip. 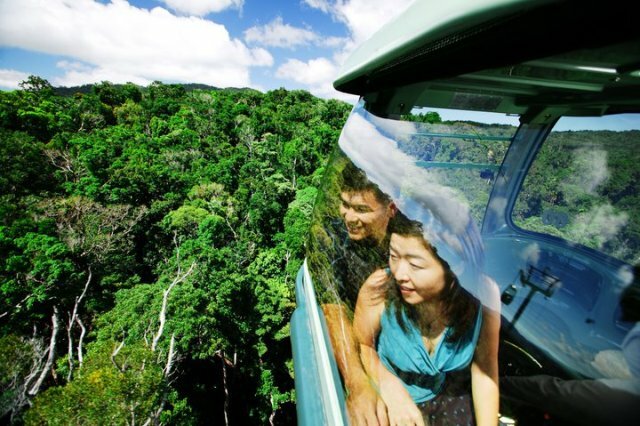 Skyrail Rainforest Cableway: At your scheduled time, board Skyrail for your 1.5hr journey into one of the oldest continually surviving rainforests on Earth. 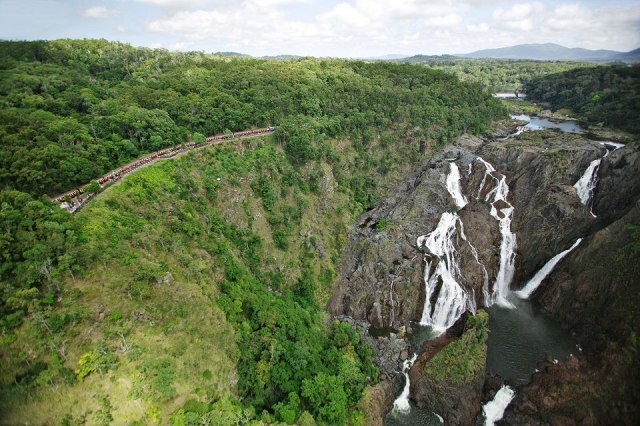 Enjoy two stops at the Barron Falls and Red Peak Stations to explore the Rainforest Boardwalks. Transfer to hotel at 3.30pm or 5pm. 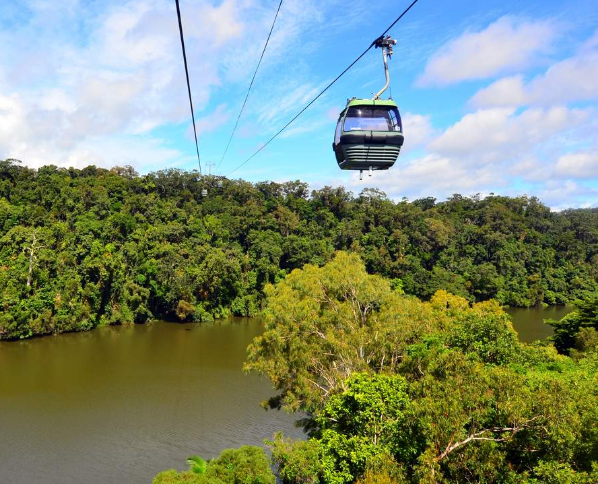 Skyrail Rainforest Cableway: At your scheduled time, board Skyrail for your 1.5hr journey into one of the oldest continually surviving rainforests on Earth. Enjoy two stops at the Barron Falls and Red Peak Stations to explore the Rainforest Boardwalks. Gonolas carry up to 6 people including infants. Diamond View gondolas seat a maximum of 5 people including infants. Complimentary Ranger guided boardwalk tours operate regularly at Red Peak Station. 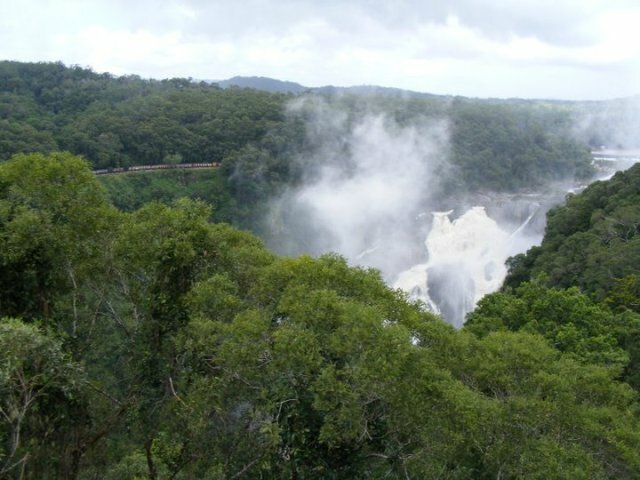 Barron Falls Station houses a fascinating Rainforest interpretation Centre and spectacular look-outs. Wheelchair users must book well in advance and advise us of your requirements: Wheelchair access is possible for foldable wheelchair users. There is a lift to the train. Skyrail stops for wheelchair passengers to enter the gondola. Your wheelchair needs to be foldable and your tour needs to be confirmed well in advance. Tour package itself was perfect, we got the skyrail over and the scenic train home. very friendly staff all buses on time, will recommend to family and friends kind regards rob. Great day, especially the ride back on Skyrail. This was a great excursion! This was a great excursion! The trip was spectacular, and transfers were efficient and prompt. Gene from Travstar provided super customer service. Thank you for a wonderful trip! Bus was fantastic - the driver on the way to the train station was very knowledgeable. Train was fantastic - we were given a separate compartment because there was some free space - which was nice so we could spread out. The view was magnificient. Fantastic Day, great,comfortable transfer service to and from hotel. Really informative drivers. No problems, great value for money for a full day out. All up it was a most enjoyable day made possible by the travstar company, highly recommend them. Great relaxing day! Met great people. Enjoyed a couple of walks and visited the Butterfly Sanctuary. Well organized and managed, very helpful staff with good knowledge, an excellent trip. Good, could not be happier with the whole experience. Lovely experience. The only blemish was a bottleneck at the 1st cable car changeover. I would certainly recommend the service and experience. Lovely way to spend a day in Cairns. What a lovely way to spend a day in Cairns. Very easy to book either on the phone with very friendly helpful staff or website was straight forward too. The old train is beautiful and the Gondola ride a great activity for visitors. I would say the sky rail was excellent and the gold class train service was excellent everything well done. Everything went smoothly. It was a really good day out. My friend Lisa & I travelled from Melbourne to experience the Cairns to Kuranda railway & Sky rail journeys & absolutely loved both trips. The Kuranda train was just amazing & not to be missed. I loved hearing the history behind the mammoth task of creating the railway. I highly recommend this trip to anyone visiting Cairns. The views & experience are not to be missed!! Loved it!! Our cruise was delayed into port, but Travstar were excellent in moving the booking twice at no extra cost. Would definitely use again. Just an awesome day trip. The sky rail was fantastic. Wonderful day, had a great time in Kuranda would have liked more time at Barron falls lookout! 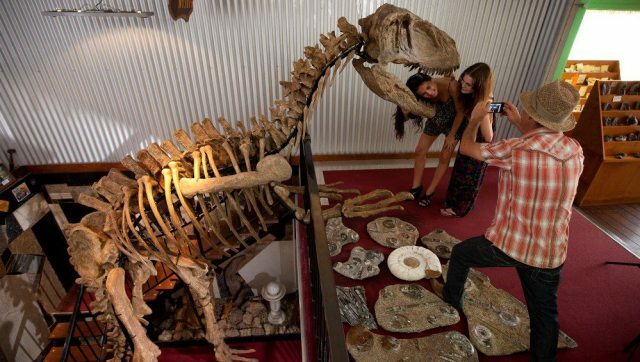 This is an absolute "Must to See"
This is an absolute "Must to See", when you visit the Cairns area. So scenic and wonderful. We thoroughly enjoyed every minute of the scenic train ride and skyrail. Views were awesome. I appreciated the personal touch when replying to booking requests. I felt quite secure in purchasing from Travstar. Truly a terrific experience, highly recommended! We enjoyed our day trip to Kuranda. Definitely recommend the Gold Class and the Diamond View. Service in Gold Class was fabulous and helps the trip go quicker. Diamond View allowed us to skip the ques, so was definitely a good idea. Well thought out, excellent trip, LOVED IT! Bus arrived on time. Booked gold class. Staff service was a high standard and the food was delicious. Scenery was magnificent. Took the skyrail back to enjoy the views. Will come back and recommend to my friends. Great set up and well organised. On-board history lesson was great. Train and Skyrail were both great. Driver gave good instructions and pickup was on time. Took train to Cairns, so did not utilize return transfer. Really enjoyed the train ride, the sights were breath taking . Kuranda was a lovely little town. The Skyrail was brilliant. All the staff we met were great ,helpful and friendly, all in all a excellent day out!! Surprisingly enjoyable day. 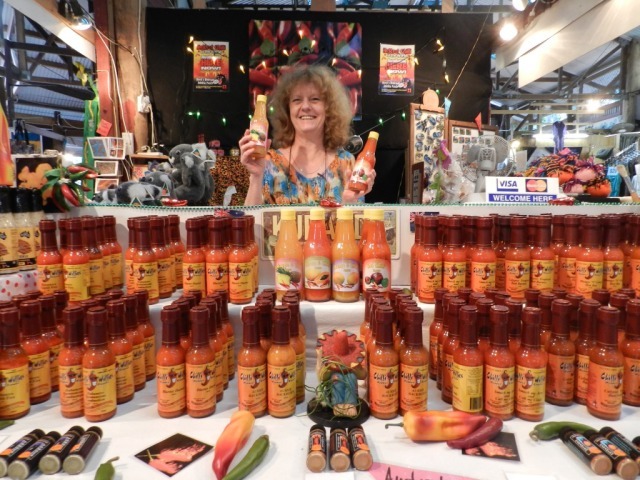 Would love to see more local products at markets. Was a great trip except that we had to travel backwards on train. The staff at the teahouse were awesome! Our cruise ship was running over an hour late into Cairns, meaning we would have missed our shuttle pickup to catch the Skyrail to Kuranda and train return. The time was changed to later in the morning to suit the new ship arrival time. This was all done about an hour and a half before the original pickup time. The tour guide was good and knowledgeable, pick us in the hotel and droff off in the hotel after a long day trip. The skyrail was good, as well as the train. Overall it was a good day to bring kids to see the view of cairns from the top, and waterfall view from the train. Recommended to book the trip from travstar, easy booking. A fantastic day and excellent service from Travstar Staff. Hotel pickup was on time. Train ride fantastic. Loved Koala Gardens, Butterfly Sanctuary and Birds Paradise experiences. We had heavy rainstorm on the way back but Skyrail was operating without any glitches and our bus took us back to the hotel promptly as scheduled. Very well organized tour! Good service and considerate staff. My booking through Travstar is an enjoyable experience as they are helpful and prompt in their response. I will not hesitate to book with them again. Myself and my husband experience the train to Kuranda in gold class best way to relax and see the beautiful sites then we experience the diamond class skyrail back to where we were met by our transfere coach. 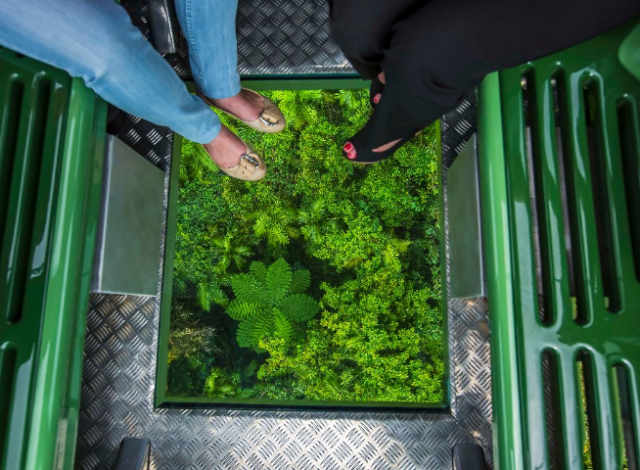 The glass bottom skyrail was fantastic allowed you to see through the trees to the ground giving a different outlook. Very well organised with personalised, detailed itinerary for the whole day. All staff were extremely helpful and knowledgeable. I would highly recommend this company. The train ride into the forest goes by so quickly - the views are amazing. I did the Koala Gardens where I got to hold a koala - highly recommend! (You can also feed kangaroos) It is a beautiful village, I wish I had more time to explore. Thank you for a great day. 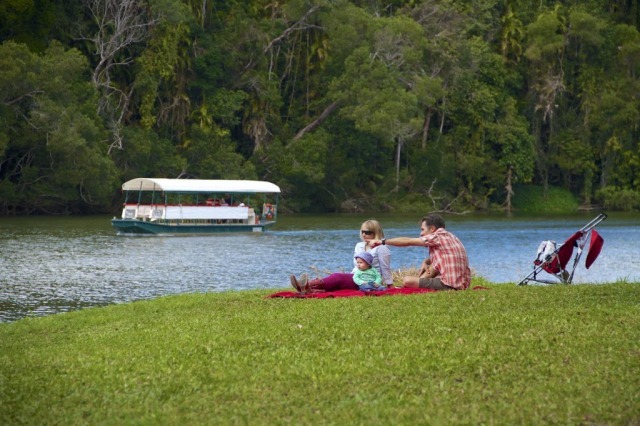 We are locals who live at Lakeside Yungaburra, but our guest was from the UK and had a magnificent day as we also did. This tour takes it all in and there is no hurry to do it all too quickly. We all enjoyed out time in Kuranda and the Gold Class travel on the Kuranda Scenic Rail was just amazing. The best way to see our beautiful part of the country. Thank you for a great day. Recommend it to all that we know. Gold class train excellent and refreshments good. This was a delightful experience in a most beautiful part of the world. Both the railway and Sky Rail are masterpieces of engineering in spectacular countryside. Very informative and enjoyable day!! Prompt pick-up by driver Shane who was both informative and humourous. The tour was a fantastic experience, only slightly marred by rain... but then again, what do you expect in a rainforest? The scenic train and Skyrail are a must to-do. Awesome views going up and coming back. 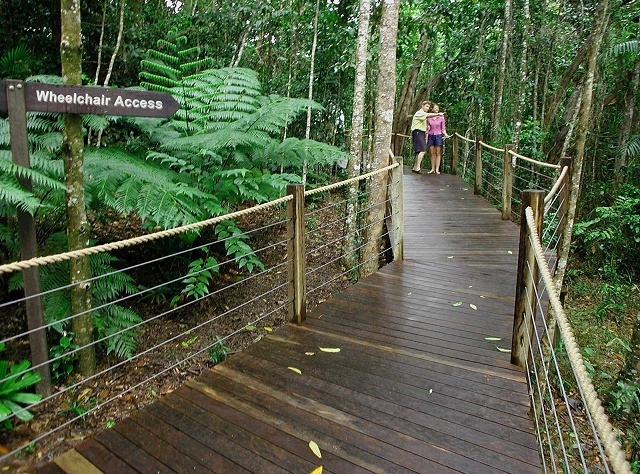 The walking trails in Kuranda provide exposure to the forest and nature. Could not fault the entire day. Everyone was helpful and polite. We were so pleased we had booked this in advance , The station at the start of the journey is just lovely such a great old building. we had a fantastic journey the landscape is wonderful and the sky rail over the trees unbelievable . very comfortable and Kuranda is great place to wonder round the butterfly sanctuary was well worth a visit as was the bird house. would visit again. A wonderful day was had by both of us. 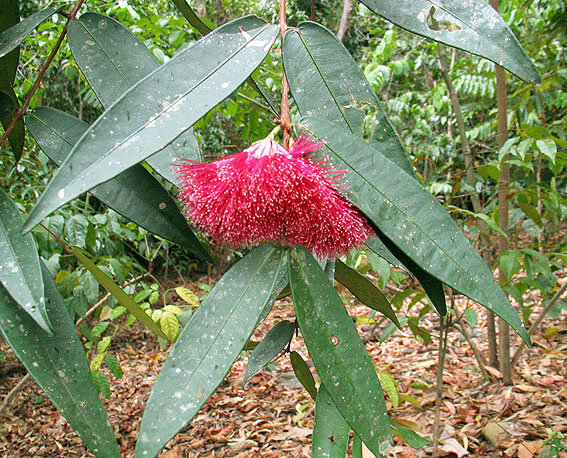 I would recommend it to my friends, it is a wonderful day tour, we love the rain forest. It was a great array of native Australian stuff. 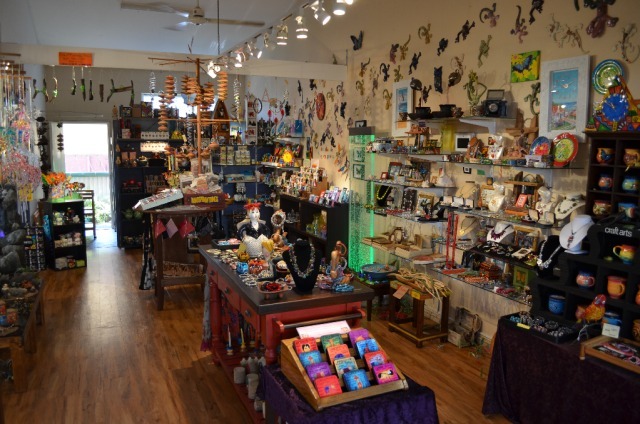 Opals, animals, plants, crafts, etc. Great tour, we went from Cairns to Kuranda by train and returned by Skyrail, enjoyed the views!!!! We took the "Gold Class" and it was worth every penny! The views were fantastic---everyone in the Gold Car could see well---and the service was beyond excellent! Next time we are in Cairns we plan to do this again. A good variety of activities - the train is historically interesting, Kuranda markets are fun, the butterfly house was fascinating, and the Skyrail return gave spectacular views. Excellent day trip. Well worth the cost.Return trip on the Skyrail was amazing. 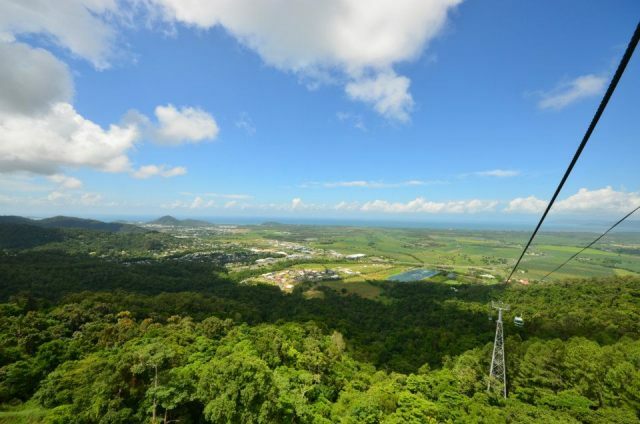 A must-do tour for any visit to Cairns - make sure you take the train up and Skyrail down for amazing views. Not much to do in Kuranda itself so the time was a little long in between the train and the sky rail. However I really had a lovely day. The trip is a good one, showing the hardship of the pioneers who built the railway. It is very commercial at the top. For me the highlight after the trips up and back, was a walk by the river once at the village. An excellent, relaxing, enjoyable day. An excellent, relaxing, enjoyable day. Would highly recommened. Our bus tour guides for our pickup from our hotel to our destination and back again were very informative, friendly, outgoing people. The Gold Class train seating and our Diamond View Sky carriage passes were worth the extra money. Thanks for a great day. A thoroughly enjoyable day out. Fantastic day, skyrail and bird park are a must do. We all gad a great time. We all gad a great time. Everything ran very smoothly. Absolutely fantastic and VERY professional. Thank you and when in the area we will definitely use your service again. This comment is for ALL bookings made!!!!! All in all a good time had on this tour as we upgraded to gold class on train and had a ball. A unique journey, not to be missed. Fantastic day. A very good days outing for all the family. Fantastic day out into the rainforest. It was my second visit in 25 years and there have been lots of changes in that time - all good! The train trip was excellent, as was the SkyRail cableway for the return journey. My 82-year-old Mum had no trouble getting about - the staff were very helpful when she needed assistance. This was great fun! The whole day was well organised and ran smoothly, from pick up to drop off. The highlight was traveling in gold class on the train-they really made you feel like VIPs. Skyrail is excellent for sight see. Everything is okay.Train is okay and skyrail is excellent for sight see. The train journey only really works if you are sat on the correct side of the carriage. On the other side you have virtually no view whatsoever during a 90 minute trip. Therefore, you have a 50/50 chance of the train being a good experience. I hope that you are luckier than I was. Skyrail was brilliant and Kuranda worth the visit. The service was wonderful, bus showed up on time, the bus was comfortable, the driver was friendly. We found that the best of Kuranda is that we can walk to the National Park. But it did not show on the broucher, so that we did not plan enough time to walk to the park. It made our hiking extremely rush. That was the only thing that we thought it can be improved further. Overall a lovely day out. The staff on the train to Kuranda were excellent. Very Friendly and Helpful. Transfers from the train station and the Skyrail were excellent. Overall a lovely day out. Train ride and Skyrail were both good. Train ride and Skyrail were both good. We found the village very commercial, filled with junky tourist souvenirs. Food and drink was expensive. We really enjoyed the day trip to Kuranda. The train ride was interesting and we learnt alot about the history of the rail line. We saw some lovely views of waterfalls as we made our way towards Kuranda. 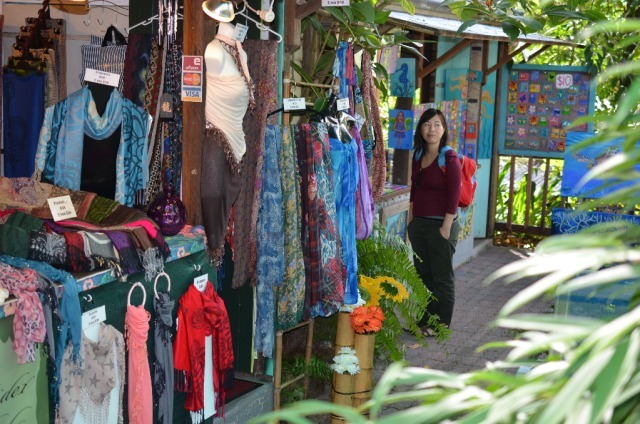 Kuranda itself is a quaint little village with lots of gift shops and places to eat. The return trip on the cable car offered some great views. Kuranda was a neat experience. We mostly enjoyed the transport, train on the way up and sky rail on the way down. It was very scenic and beautiful. Marvellous day. Thoroughly enjoyed it all. Lovely trip, Down Under shuttle staff, was very kind and helpful, very professional. Train journey up and gondola back were super and most enjoyable. The River And Jungle walks etc were really good and welll laid out and gave you the feel of the Tropical Rain forest. The Koala wildlife park was worth the visit especially as we were there for the weekly snake feed! However the actual village itself has become too commercial and just aimed at separating the tourists from their money. Shane the driver was great! he was fun, knowledgable and really took pride in his job! Well worth the trip to Kuranda. Great day, train was beautiful. We had a great time! The kids especially enjoyed the train ride and the skyrail. The Scenic Train and the Skyrail were fantastic fun, the staff on both rides were courteous and helpful and fun, I would recommend it to anyone! 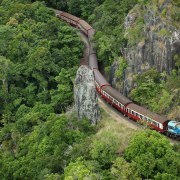 Kunranda via classic train and skyrail! We choose to get a scenic rail gold class and that was absolutely value for money- delicious foods and wine, beer, you name it. Excellent serive provided. And skyrail was sure the longest rail in the world and secnery from window was breathtaking. 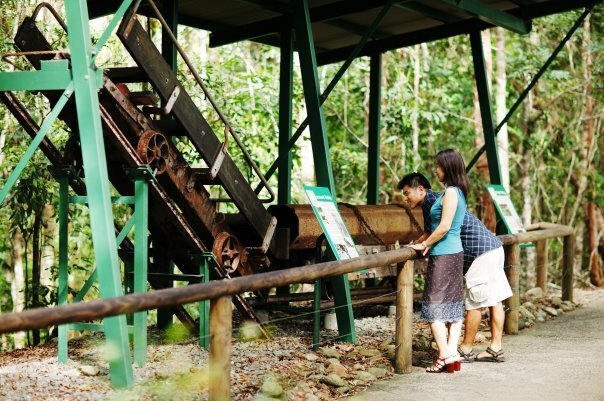 In Kuranda village, if you are not shopperholic take jungle walk, which is easy but quite exotic 50 minutes on foot. In summary, Kuranda in a day is must to try. Unforgettable experience ! Must to be on every one list ! 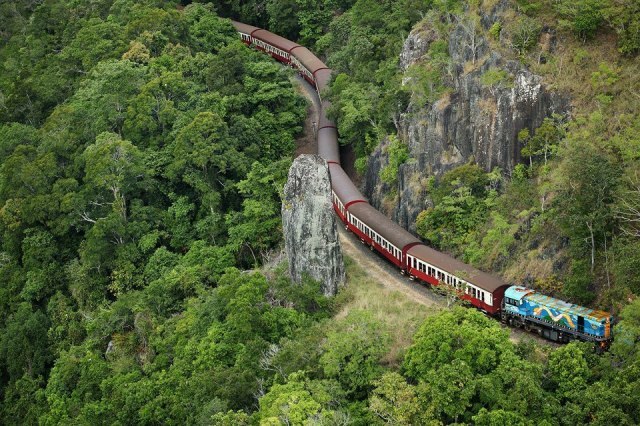 The train journey is simply something you must do when visting Cairns. The view are outstanding. The train ride was spectacular. The sky rail was scary, but service was fantastic, staff could not have been any better and the train ride was spectacular. Another 1 hour or 2 at Kuranda would have been perfect - however, what a lovely day it was. We upgraded to Gold Class and thought it was well worth it. Going up by train and coming back by skyrail was "the go"
We had an excellent day, rail up, skyrail down and a fantastic 3.5hrs in Kuranda. At the end of the day we all wanted to get straight back on the Skyrail (but were already late getting off). Staff at the Kuranda Rail and the Skyrail and in particular the Skyrail rangers were terrific. 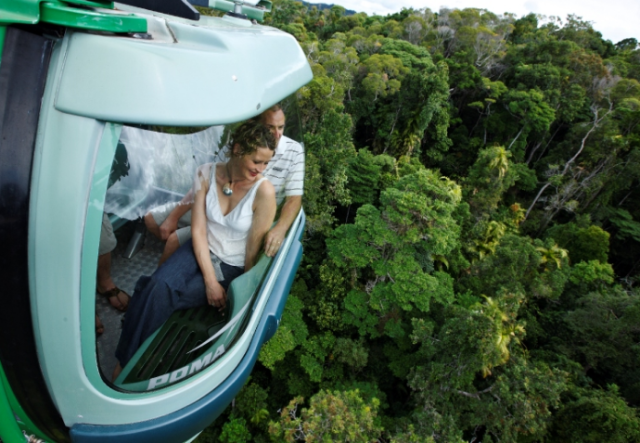 Looking down on the tree tops was a fantastic perspective, and the Skyrail experience really respected the rainforest. 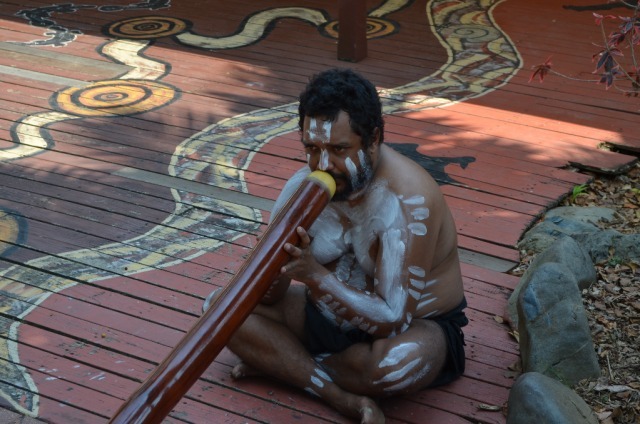 I bought an excellent (serious playing) didgeridoo from the Kuranda markets - we were allowed to spend an hour trying our a range of them until we found the perfect one (nearly plays itself). The museum at Freshwater Station explaining how the Kuranda Rail line was built was a really nice touch and whetted our appetite for the trip - oh and the views to the 2 major falls were excellent, as was chugging through the stations! It would be nice however if development along the Freshwater end of the line was less prominent - it took a while to feel like we had left the burbs. Although we had a pleasant day and really enjoyed the Skyrail experience, we were disappointed in the train. Our carriage was full and the people with seats closest to the windows blocked the view the whole time by standing up, or leaning towards the windows to take photos. While we understand that this is a unique experience, it would be better if there could be a fairer system to enable everyone to share more equally. What a wonderful day we had for our silver wedding anniversary, the gold class train ride was so memorable and what a lovely town. Great Day Out! Highest marks! Had the Gold upgrade on the scenic railway, it was worth every penny - loved it. The train trip was amazing. Once again we had a great day. The train trip was amazing. What a great day my husband and I had. What a great day my husband and I had.It was something we might not have chosen to do but our Travel Agent suggested it so we did and very pleased we did. This is a must for anyone who has never done it. Friendly staff and an all round great trip! Great day!! Pick up and return to hotel made life easy for us! Enjoyed the day, Train commentary excellent. A great experience. The train and skyrail both excellent. The train and skyrail both excellent. The pickup and return to the hotel went smoothly. Kuranda itself is a little tired. A lot of the stuff in the market stalls was just junk. But the food was very good. We both enjoyed all our trips and was pleased with all. Very spectacular scenery. The skyway was amazing as well. Enjoyed both the rail trip up and the scenic trip down. Enjoyed both the rail trip up and the scenic trip down. It was good to be able to get to experience both. A great experience on the train going up and the sky train on the way back. We enjoyed lunch at the pub when we arrived which was also great. A lovely half day experience. Had a great day and the recommendation to take the sky rail up and the train back worked out brilliantly!especially with the gold upgrade! Great day. Something for everyone. The bus drivers also fantastic they had great personalitys and made you feel really welcome and provided you with all the info you needed for the day. Gold Class was a highlight! Your travel consultant, Chanele, was excellent. I especially liked the personalised information sheet given to me on pickup. Perhaps warn tourists especially at this time of the year, that it is rather cold and should take a jacket. The train journey (Gold) was a highlight, well worth the money. Plenty of time to see the markets, although I was rather disappointed at the lack of Australian goods for sale. Thanks Travstar you do a great job. Skyrail fantastic. Train trip and service in gold class exceptional. Great overview of the area. All the staff are so kind and helpful! We had a great day. Travstar staff suggested we goup by train and back by skyrail - definitely the best option. Relaxing and picturesque. The "must do" tour in Cairns always delivers,Skyrail was the highlight for my teenage children. We had a really nice day at Kuranda. We had a really nice day at Kuranda. The boys loved the train ride and ropeway, and my wife loved the shopping. The animal attractions seemed to be overpriced for what you could see, though my sons were very excited to see all the animals. Loved the railway journey, the train slowed down at various view points which enabled all to take photos, and the commentary was excellent. The Station at Karunda was so pretty with all the tropical plants, and the return journey by skyrail fascinating. Loved it and well worth the money. Ken and Dee Buckley, England. It took 1 1 /2 hrs to actually leave Cairns and we just made the train at Freshwater - no time whatsoever to look around the station. Our driver stopped for 1/2hr with no explanation as to why but obviously it was to wait for more people to board the bus. Very frustrating. A very good day out - particularly as we went as part of a four night package deal arranged by Travstar. Kuranda is beautiful! Scenic rail was great. However, this tour only provided transportation for us. There was no tour guide or other service for the day. I enjoyed the Skyway better than the train due to hot climate. The view from Scenic train & skyrail is fantastic. Informative train trip with magnificent views. Informative train trip with magnificent views. Skyrail was definitely a highlight not to be missed when venturing to Kuranda. Loved it very pleasant day out, and travelling both ways differently was brilliant. We had a very good time in Kuranda and we like to come back soon. My only wish was to spend more time in the village.Keep up the good job. Excellent views - may be a package for all the \\\"ToDo\\\" items (Butterfly, Koala zoo, etc) in Kuranda will make the day even more enjoyable. Interesting for the history and views. Too long in Kuranda, partly because it was so hot. Wished there had been an option for an earlier bus back to hotel. Interesting for the history and views. To get the most out a day trip book ahead the tours you wish to do before you get there, I will be doing this next time as 4hrs may sound a lot of time it aint at all. A neat day with a lot to see. We took the train up and the cable car back. That gave us 4 hours up there which was not enough ! A neat day with a lot to see. Well worth the trip... markets were a bit of a let down but the train trip and sky rail were well worth the effort. We thought the fee included some park entries but on review the cost was worth the experience. It was to have the sky rail pods to the number of ticketholders stated on the ticket. we enjoyed the stops and the train was a unique experience. The markets were delightful. Train ride up was awesome, we went gold class and we were offered more food and drink than we could handle, it was really nice food and the views and service were spectacular. The Skyrail down was just as good, well worth every cent. Great trip with great commentary on the train. The trip was very enjoyable. Good trip into the mountains, my wife and I really enjoyed the train, would have liked to have spend more time in Kuranda but overall the trip was very enjoyable. It was a great experience and I believe I will visit it again (may be after wet season). A fantastic day with so much help and information along the way! I had a leg injury and everyone on the Kuranda Skyrail and Train made sure I was assisted at every possible moment, thanks again for a great holiday. Well presented train trip over all, and the skyrail was fantastic. A most enjoyable day out, good value for money. A must-do day. Wish the signposting for the walkway in Kuranda had been better, otherwise everything was perfect. A very relaxing day on the train and returning on the skyrail. 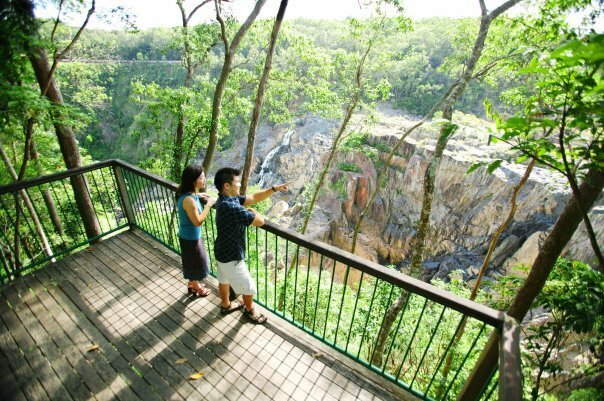 Plenty of time to look around Kuranda. We were all completely overjoyed with our whole day.Everything was on time & the staff were excellent. This also included the staff at both railway stations. We would recomend your organisation to anyone. Had a very enjoyable and hassle free day thanks to your great organisation of the tour. Everything about this day was enjoyable - well organised. Have already reccomended it to quite a few friends, several of whom have taken the trip since. We had a lovely time on the train, although a toilet on board would have helped the people with little children. Kuranda is a very pretty town, and we enjoyed the markets. The Skyrail is unsurpassed in the beauty it shows us of the mountain forests, would definately go again! 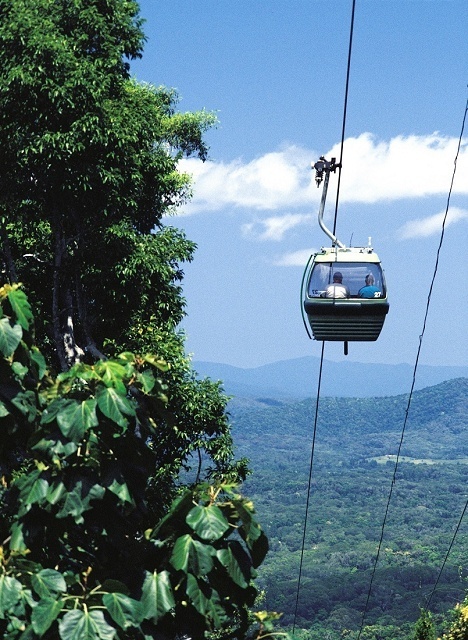 The Skyway and Railway are two of the best attractions in FNQ. A must for any visitor to Cairns. We went on a Monday, much of Kuranda was closed and we ended up back at the bottom with an hour and a half to wait for our coach. Ended up catching the local bus back to the hotel. Really interesting visit. The train and skyrail were fantastic! Lots to see in Kuranda - especially loved the sweet shop(!!) and the bat sanctuary. This is an excellent tour. This is an excellent tour. Love it very much. Loved every minute of this tour from the bus driver at the begining of the day to the train and skyrail ride. 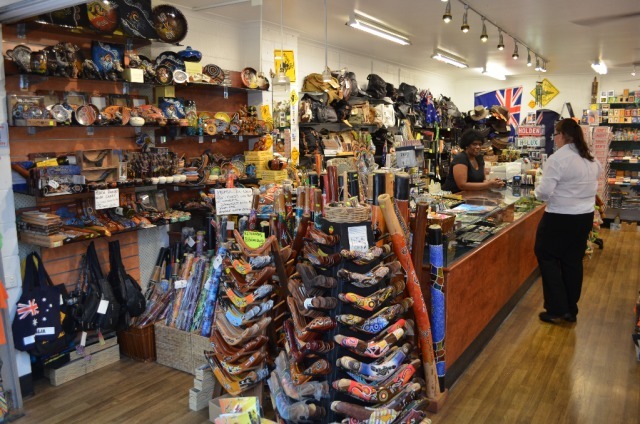 I will be returning to visit the town of Kuranda again, so many shops to see and the people are very friendly. Best experience ever with my teenage daughters. This is an experience for the whole family to take together. We also were privileged to witness the guides assisting a person in a wheelchair. This is really world class and we could not speak more highly of the day. Everything was well done. We were picked up as arranged at the correct time by a wonderful, informative driver. Our day was excellent! Loved Kuranda. We were delivered home again in the afternoon. Guides made sure we were put on the right bus. Great service. Train and Skyrail offer great views, interesting history of the area. 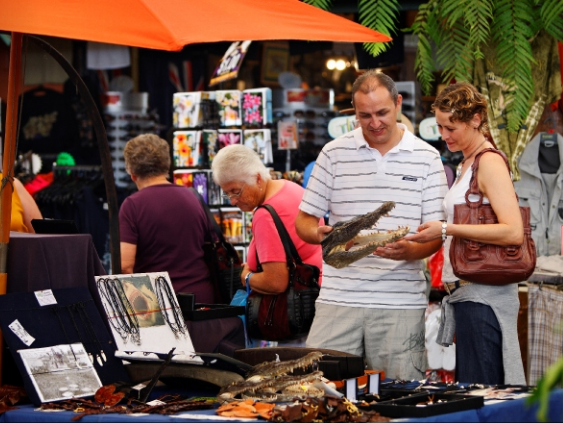 Heaps of souvenirs and crafts to see at the markets. Be sure to bring money for entrance fees to the butterfly, bird parks, and my favorite - the Venom Zoo. Waited 20mins in queue for the Skyrail down in the afternoon. 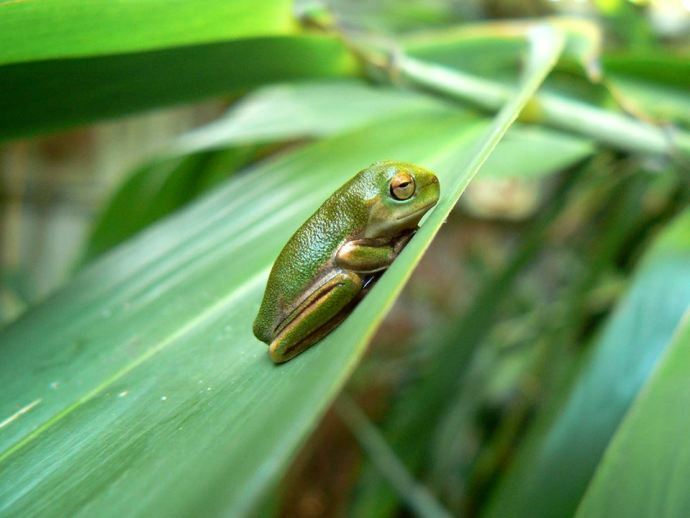 Kuranda in a day is great value for money. This is the second time we have been and it is much more commersialised than our previous visit 13 years ago! It is a little bit routine and day is set by the clock a bit too tightly. 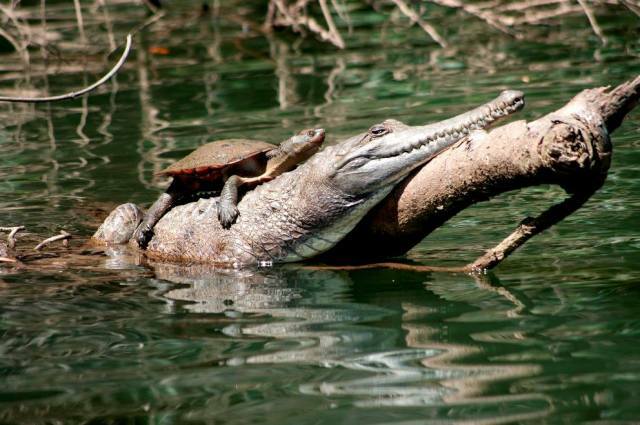 We also paid extra for the riverboat cruise and saw some little crocs, turtles and birds. Great day out! I took my 13yr old son on this trip with some trepidation, I thought it might not be his \\\"thing\\\" but we both had the most fabulous day. The coach arrived like clockwork, the skyrail was incredible, we really enjoyed the history tips as we travelled up in the train, and we could have spent many more hours at Kuranda. Loved it. The whole day trip to Kuranda was amazing! Thank you!! Great day out for the family. Skyrail was impressive if a little scary. The train was enjoyable and informative. The kids loved gold class. The whole process from booking to enjoyment of the trip was sensational - well done! We thoroughly enjoyed our day out to Kuranda, it was very well organised, although we did have a bit of a wait in line for our tickets at Freshwater Station (nothing to complain about) the train trip was great, the Sky-Rail was just amazing. We would have no hesitation in recommending this tour to anyone going to Cairns, very good value for money! My family and I really enjoyed the train ride up to Kuranda and back on the skyrail. It was the second time for my son and I and it was the first time for my husband, who got so excited and suggested on going on the skyrail again. FANTASTIC DAY OUT. JUST ENOUGH TIME TO SEE EVERYTHING AND HAVE A GREAT MEAL OF CHOICE. Highly recommended. Would do the trip again some day. You have got to do the Gold Class upgrade on the Train it makes the Day. The skyrail could have a commentary to listen to, it goes so fast that by the time you have read the brochure you are passed whatever it wa sto look out for. Upgrading to \\\"Gold Class\\\" on the Kuranda train was the best extra and well worth the money. Would recommend the upgrade for the special service, space and lovely comfortable seats. Staff were excellent. A fantastic experience from Travstar from start to finish. We were looked after from our initial enquiries, through to the end of the day of the trip. Everything on the day was professionally planned, nothing was too much trouble & all staff extremely pleasant & knowledgeable. A fantastic day out into the rainforest, we all thoroughly enjoyed. A lovely day out. Pleasant, well organised staff at every point. Good commentary on the train ride - we bought the DVD of both the construction of the railway and the sky rail for more information. A fantastic tour. From the moment we arrived at the beautiful railway station, to the free time in beautiful Kuranda, and the exciting ride down on the skyrail, this was one of the best holiday experiences ever! I loved the skyrail trip back down, was the highlight of my day. This was a fantastic day, even if it was a bit wet. The views were amazing, especially the Barron Gorge full of water. The staff were very polite and helpful. The skyrail is an amazing ride down the mountain. All the staff again were very cheerful, polite and helpful. It was a great day overall. Generally it is an relax trip, suitbale for the people just want sitting in the train and wathing the outside view. All up had a lovely time. The only dissappointing factor was not being able to go by rail to Kuranda due to the rain...understandable considering safety acpect. interesting and informative trip upwards using the train. Plenty of shops/eateries at the visitors area, and spectacular views witnessed on the skyrail on the return leg down. I felt this was overpriced. Enjoyed the skylift not the train ride so much. Enjoyed spending time at Kuranda and having a nice lunch. An excellent well organized day. The coach driver who picked us up did a great job explaining how the trip worked. As behave of me and my family we want to thank you for making out trip to Kuranda an memorable experience. We were all very impressed with everything that you were able to offer. Amazing customer service with the coach pick ups. Thank you once again, we really appricated everything you did for us. This is a must if you are in this area. The train ride was very interesting. 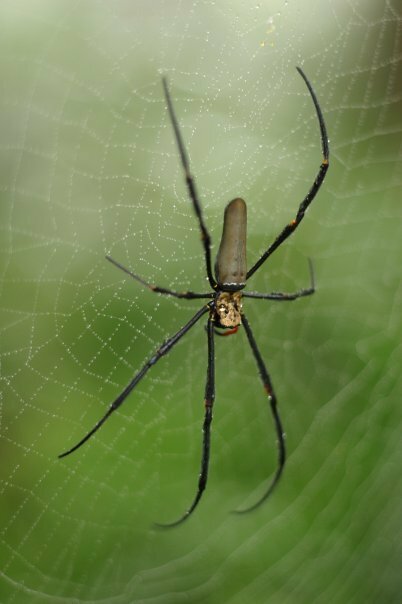 In Kuranda we went to the butterfly sanctuary and Koala gardens and the poisonous insect place. I thought it was expensive to visit these places and it would be a good idea to offer special deals for a ticket to include their entry price with the main ticket, at a reduction. The Skyrail down was fantastic, and the board walks essential. An excellent experience and the friendly staff made for a good day out. Very good in all aspects but as with all other tourist events in Cairns, over priced. Skyrail - excellent, a real must-do. Great to be able to see into the rainforest canopy and the two \\\"stop and look\\\" options are informative breaks along the way. Great service from a great team, could not have asked for a better start to our holiday. 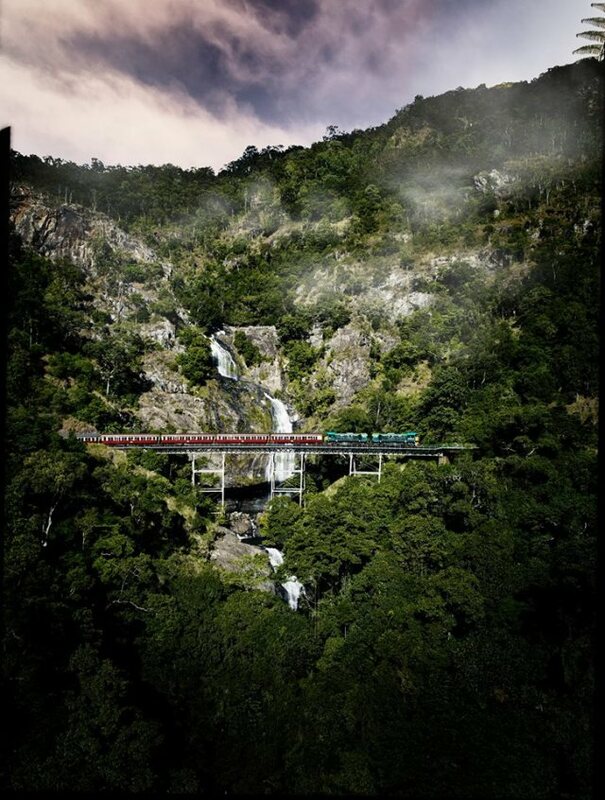 The train ride up to Kuranda was pretty awesome however, it was very disappointing to see it sooooo commercialized. The sky rail was a good experience too. This was a fun day, tour was good. great way to start our week in Cairns. A beautiful day, great way to start our week in Cairns. I liked this one, it would appeal to older and younger travellers, we enjoyed the Venom Zoo. My children found the train trip a bit long. I am glad that the advice given of only two hours to spend up there was given as it was perfect to see what was there. We loved the sky rail. The best tour we took.From the train ride to the Koala Gardens was excellent. Although if you have a little one like us, your going to have to rush. My 3yr had so many questions about everything and had to talk to everyone we didnt get to actually walk through the rainforest.The sky rail down was just as good though. Very well organised day and lovely train and beautiful station at Kuranda. We had a lovely day. We did the gold class and the service was friendly and personal. The drinks and food were plentiful. Was a fantastic experience & everything was well organised. We opted for the upgraded service on the trail and found the crew to be exceptional. Thanks! A great day, the train trip was interesting with some great views. The markets were great and we loved visiting the Butterfly Sanctuary and the skyway trip home was fabulous along with the views of the rainforest, gorge and waterfalls! 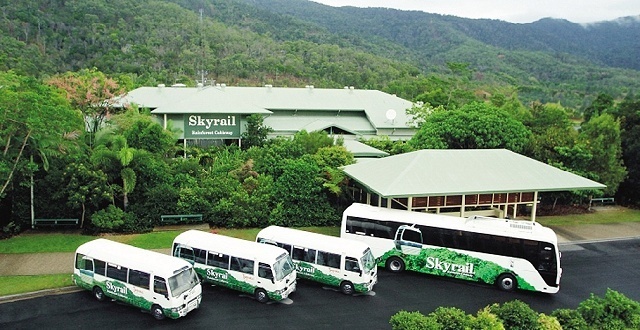 excellent service with return transport although it should be noted that you can leave Kuranda at any time and that there is alternative transport at the station to get back to Cairns for those not wanting to stay the whole day in Kuranda. Thank you Jodi,We enjoyed our time in Cairns very much and we will certainly think of you next time we travel north. Was a beautiful day, very well organised, very historical trail and great day. A well organised trip where everything from pick up to drop off worked to plan. 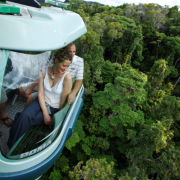 Great opportunity to visit the rainforest and have an exciting adventure (skyrail). For the train ride, I was lucky to have a window seat. Those sitting on the inside of the train seat seemed to not have very good visibility as we passed through the forest up the mountainside. What a wonderful day we had....from the scenic railway upwards to the cable car downwards. We booked online before even leaving the UK and everything went like clockwork. The pickup from our hotel was prompt - the bus driver was courteous and informative and the staff were welcoming. Thank you for everything - no complaints whatsoever. Everything went like clockwork - a wonderful day. It was a very enjoyable trip - definitely worth doing. As a family we thouroughly enjoyed this day trip. it was relaxing and the kids (5yr old and 2.5 year old), as well as us really enjoyed both the train ride and the skyrail! !..Thjey are still talking about it! !..Beautiful place to visit..Highly recommend to anyone travelling to Cairns. We had a fantastic day. The Skyrail was brilliant! and helpful. It was very enjoyable. The views were just spectacular. The Skyrail was awesome! The views were just spectacular. A great day on the rail and Skyrail as well as the animal sanctuaries - butterflies really amazing, also the birds and of course the native Australian animals. Plenty to see and also the markets to browse around in. thank you for a good day out we were picked up on time and everything was clearly explained so we could enjoy our day out with no worries. 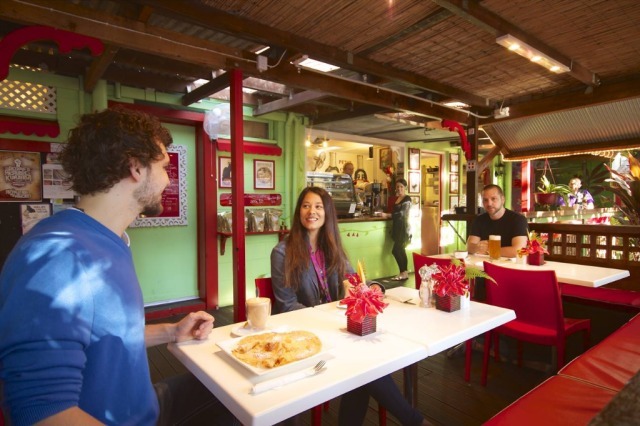 Good deal, I enjoyed one day in Kuranda! It was a great, but long day with small kids. Worth doing for the views and the cable car back was terrific for the kids. We loved our day at Kuranda, was fantastic, wish we had more time in cairns!!! We shall be back again, only complaint is better driving directions for self drive??? Good maps of cairns and surrounding areas are hard to get?? 2 hours in Kuranda was a little bit too short. Wish we had more time to explore the markets / shops there. Otherwise, a memorable journey up the railway and the skyrail. We loved the trip and thought the Skyrail was a hit! The train was not working because of a mudslide, but the cable car both ways was just fine and the views were amazing. Holding a real koala was the highlight of my trip. They picked us up in a nice a/c coach, brief transit to Skyrail which had an excellent view. Unfortunately our Kuranda Scenic Rail part of the tour got cancelled but Travstar later gave us a partial refund for it. From there we wandered around on our own and visited Koala Gardens which was a small attraction but it allowed us to get really up close with the animals! Kuranda was a touristy village but it was fun and time flew by quickly...felt like we could have spent a little more time there, but overall it was a great experience. Loved doing both the train and skyrail, each gave a different view. Did it with 2 young children and it was great for them too. most throughly absorbing tour entertaining and very educational, would recommend it to all who travel to Cairns, thank you. Very Tourist orientated, train ride and sky train are the highlights, Kuranda village is average. My only complaint is that we really needed more time in Kuranda. We had to run to get to the one animal park we wanted to see and then rushed to do some shopping. We would have liked to do more shopping and have a nice sit-down lunch but with only three hours it was impossible. The sky rail ride was great and the train upgrade to Gold Class really made the trip back feel special. Best cable car ride I have experienced in 4 continents. Kids love the train ride up the mountain. It was a drizzling day but it didnt stop us from touring around. A little disappointed with the heritage market which we expected more. The army duck was fun and informative. Cable car ride was cool. Thanks for the very efficient service. I rang up your office because I could not find my way to it in Cairns. Stephanie helped me to book the family tour via the phone and fax to my hotel. Very efficient. Thank you! The train ride was fantastic and the sky-ride was even better! Great trip and wonderful service, thank you for a brilliant experience. This was a great day... we thoroughly enjoyed it. The sky train was great. The sky train was great. The village was not what we expected. A must see place, the train ride was great and the kids had a great day. This trip got us by surprise. It was much more enjoyable than expected. 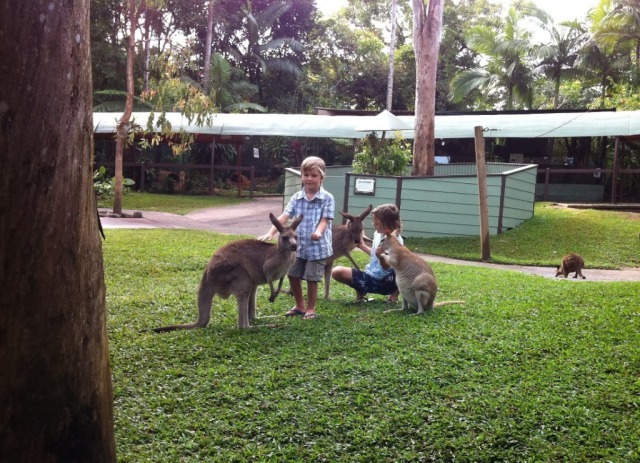 I recommend taking tickets to all the three parks at Kuranda - The Koala garden, bird watch and butterfly sanctuary. 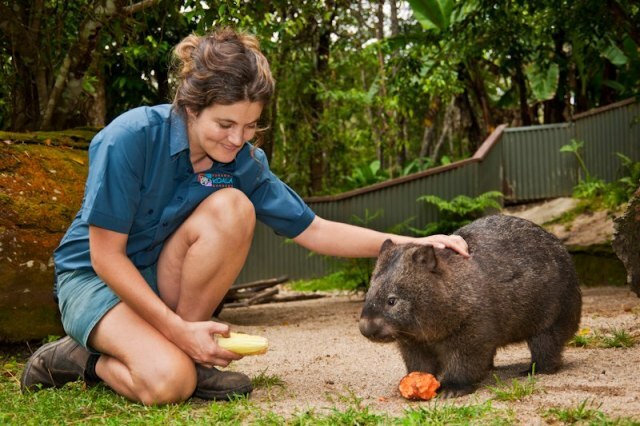 You can feed the kangaroos and hold a Koala at the Koala garden, feed the birds at bird watch while they fly around you and land on you and learn a whole lot about butterflies flying all around you at the sanctuary. Only recommendation is to take an early train to Kuranda, say around 8:45am if you wanna see all the three places with plenty of time. Last of the Sky rail is at 3:30pm, which by itself is very exciting as you travel on top of the rain forest. um... not much things do in kuranda after visiting 2 parks, but staffs are nice and helpful. especialy the drivers, helpful and informative! nice and kind! This trip was worth it for the train journey and the skyrail journey alone! Very enjoyable. The whole day was most enjoyable and relaxing and exciting all at once. The train journey was magical. We thought 3 hours in the village would be too long...not abit of it. we could have stayed. we swam in the river and then the sky cable back was incredible with very informative stops/guided tours on the way down. What a wonderful way to spend a day. Great Train ride, nice village at karunda and Skyrail was excellent. The train and skyrail trip was adventureous and awesome. I will definitley arrange for another trip with my friends who have seen pictures taken during my trip and are all thrilled and eager to do the same trip.The staff were very helpful. Not a must location for the adventurer. A fabulous day despite the weather closing in for our Skyrail ride. Have already recommended this to everyone we have met travelling north to Cairns. Thanks to all concerned. Excellent, a definate must do. Best tour, flexible with bus transfers. The scenic railway & skyrail were fun and the views were amazing! My girlfriend held a koala & I fed a kangaroo & wallaby at Koala Gardens, which was the highlight of the day. Would recommend. enjoyed the train up and the ride back, it was a wonderful way to see it, very memorable. what was at the top, is a shopping experience, if you did not want to visit the attractions. It was ok to have something to eat and have a wonder around. An enjoyable day, with fantastic views and lots of photo opporttunities. 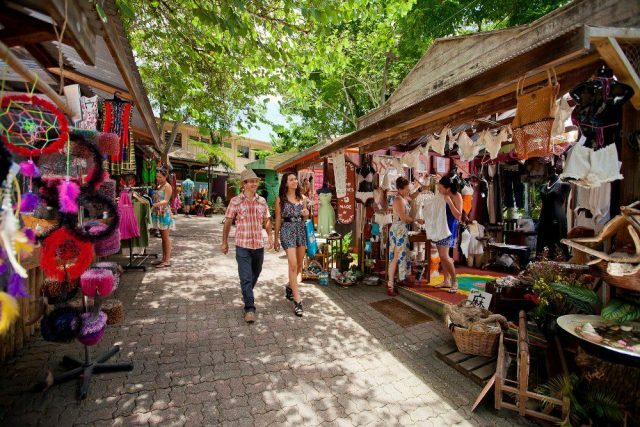 Kuranda has lots to do with lots of shops, and several small animal sancturies to visit that will entertain the whole family. Kuranda was absolutely beautiful. We loved the train ride up and the skyrail coming down. Definitely the way to enjoy it! It was more of a self-tour without a guide and we were able to go at our own pace, though it was great that everything had been organised for us. Once in Kuranda we walked through the rainforest tracks, had a lovely lunch, wondered through the markets and thouroughly enjoyed the Butterfly Sanctuary. Pick ups and drop offs were timed to perfection. A wonderful day! Well worht the time and money! Lovely day! Well worht the time and money! Great day out. But just ran out of time as their is so much to see. The Butterflies are well worth going to see. 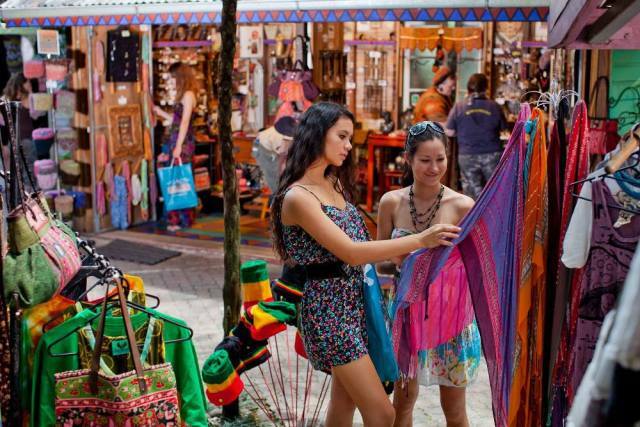 Some reviews say that Kuranda Market is not worth the time but we would disagree on that, the wife brought a ring at a good discount price. The whole date was excellent from the time we were picked up to the time we were dropped off. 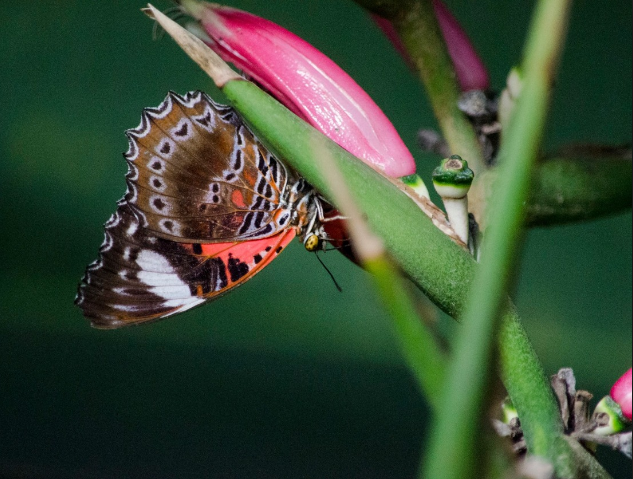 The butterfly park is worth going to! got to see some lovely sights. Enjoyed the trip immensely and got to see some lovely sights. Once again, staff were courteous and helpful. Make sure you have a head for heights but fantastic views from the Skytrain. 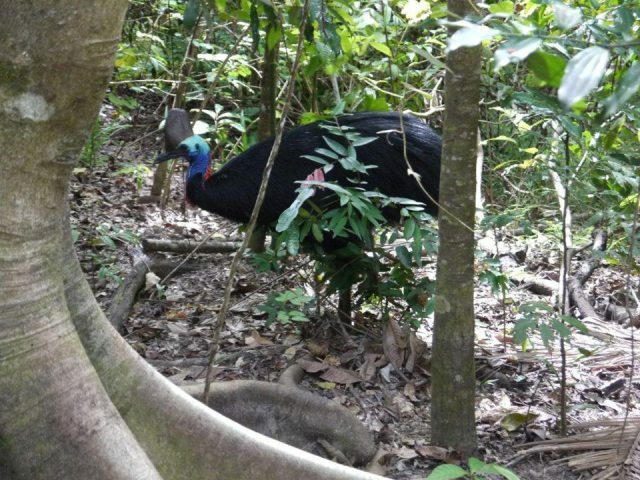 This was the highlight of our trip to North Queensland. We had to go back a second time and would have again if time had permitted. Kuranda was too touristy for me. The train trip (we took the train up) was hot and not too interesting. It was hard to take good photos in the old fashioned carriage with small windows. I felt the opposite about the Skytrain (we took it on the way down). I LOVED it. Sailing just above the tops of the trees was excellent. This was a great package and one of the very best experiences of my one week stay in Cairns. I would recommend it as a must not miss, especially the tram ride. the experience was just incredible!!!! The train ride out to Kuranda was amazing!It was such an ideal way to travel through the rainforest, the photo oppurtunities were breathtaking! The Skyrail is a must do, the experience is unforgetable! You feel as though you are flying! 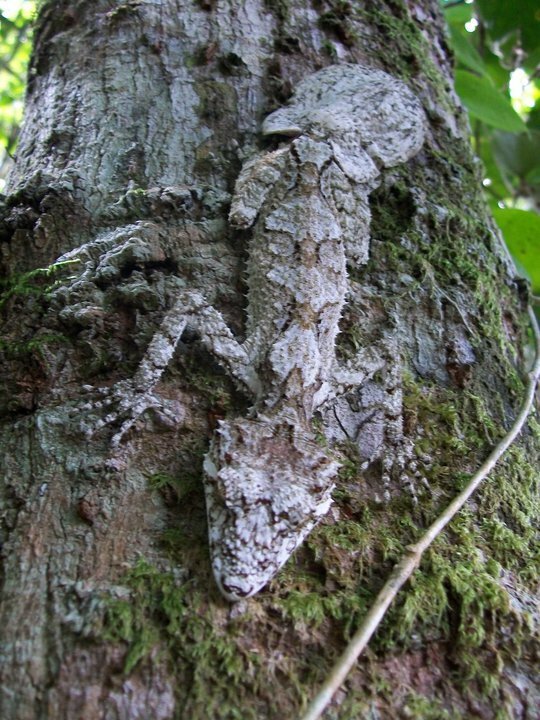 It is such a beautiful and memorable way to experience the rainforest.You can hear, see and smell everything...the experience was just incredible!!!! Kuranda itself,on the other, was just abit of an eye sore!!!! The only plesant experience was the lovely bus driver with his puppy that drove us from the train to the markets!!! The few stalls that were open, the people were lovely...but in general I thought it was an unmemorable and dissapointing experience. The markets had no real vibe or pulse about it, the place seemed a little run down and unloved! Its a shame, as Kuranda is set in the most beautiful of backdrops. Although the market experience left a little to be desired, I WOULD WITHOUT A DOUBT do this trip again!!! The train ride up , and the Skyrail back was just such a wonderful experience!And the staff in all areas(from chartered pick-up bus from our hotel,rail and Skyrail staff) were wonderful. I would definatly recommened this day trip purely for the journey!!! Unfortunatly not the destination. One of the reasons we chose this tour because it includes train & skyrail rides, also accommodation transfer. The coach & its service was quite professionally done. The whole day was just wonderful. My wife Ada loved having her photo with the Koalas! The train journey was spectacular with the services on board excellent. We took two teenage daughters with us to Kuranda and they were just as impressed as we were,not only the sights and shops but the great service from Travstar and its staff.You could do this trip 4 times a year and each day would be a different experience, thanks Travstar, we will be back. We had a wonderful train ride & spent lunch in Kuranda then caught the Skyrail back. The bus was very prompt, the Driver friendly, a wonderful way to spend the day. waterfalls and valleys you can ever imagine. 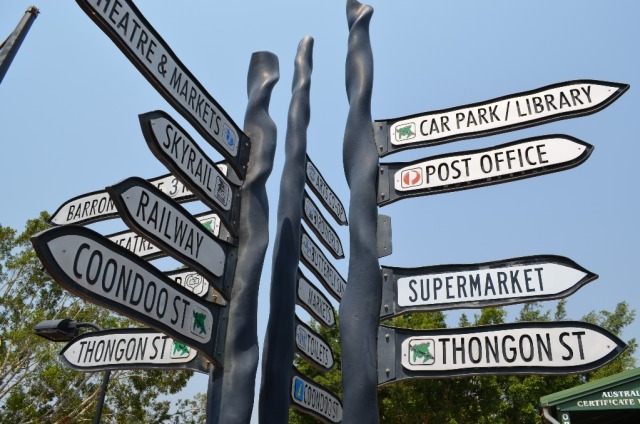 The town of Kuranda is an old aborginial place, which has now unfortunaly been turned into a turist spot. But still a very nice place to visit for a couple of hours, especially The Bird World and the markets. 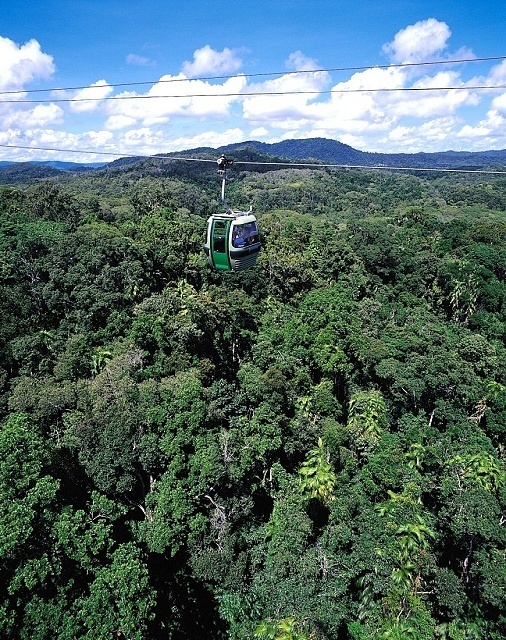 The 7,5 km Skyrail ride back to Cairns is a fantastic and beautiful experience - do this tour and look forward to it. I certantly had a great day. the sky rail was a bit of a fright to me, but after the initial shock of the height it was superb. A great day out and excellent value for money. A must do when visiting Cairns. We all had a great time. Some of the sites were the best I have ever seen. It was a wonderful family experience,lots of fun. Can not wait to do it again one day. Thanks heaps!!!! what a wonderful day.. Once again this was a multi return visit for me and how good to see that the trip up to Kuranda was as exciting and beautiful as ever. All of us really enjoyed this trip especially our friend from WA who had come specially for this.The trip back on the skyrail, a first for us all, was absolutely stuunning. to be so close to the rainforest canopy was breathtaking andd certainly a must for any return visit we make. A good value day. We were very glad that we upgraded to Gold Class, it was definitely worth it and made the day special right from the beginnning. Service from Travstar and tour operators was excellent. A great day out on the Scenic Railway, lunch and markets in Kuranda and then a wonderful ride back to Caravonica on the skyrail. Friendly drivers for pick up and drop off. Everything was user friendly and signed well. Good value for money. The organisation by the tour operator was very good - well done. The train operators need to consider putting all the seats in one direction, if you are seated backwards as we were you cannot see anything and the train was full so we could not really move around, particuarly if you do not want to lean all over total strangers.. This tour is good value for money. Really enjoyed the trip and our hostess Jo was exceptional. A wonderful day of activities! It was beautiful, we enjoyed having the option to do what ever we wanted when we got to Kuranda and take our time exploring. The views were out of this world. I never knew our country is that beautiful. This was a most memorable experience which we hope to repeat one day. The staff on the train were really great and most helpful. The train ride was great, it was nice and scenic. Kuranda was great and we spent lots of time shopping and checking out a few of the attractions. The skyrail was the highlight for me, it was a great way to return back to Cairns. Loved the train trip and the sky rail. We especially enjoyed our personal gold car and the service aboard. Also enjoyed the sky rail. The scenery was absolutely beautiful! It was a wonderful experience! 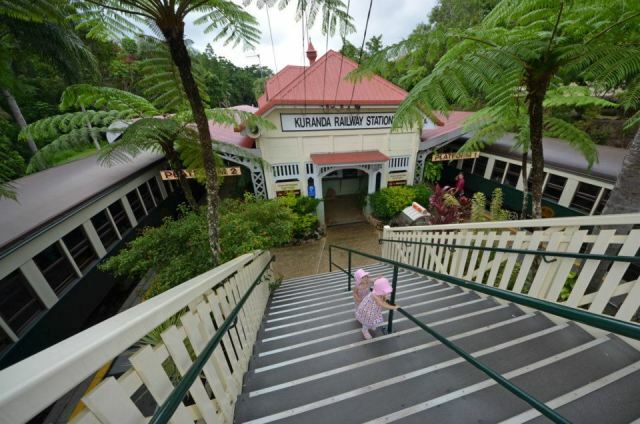 Anyone visiting North Cairns should not miss going on the Kuranda Rail.